Kate Weekes CD Release Special Guest: James Stephens May 2nd, 7:30pm United Church basement $15 at the door With the release of her third solo album, Taken by Surprise, singer/songwriter and guitarist Kate Weekes expertly maps the musical spot where landscapes and emotions converge via accessible, jazzy folk/pop inspired by the planet’s northernmost locales. Alongside producer and multi-instrumentalist James Stephens, Weekes has created a dazzling sonic scrapbook of experiences which are buoyed by Weekes’ inimitable performance style and flair for storytelling. 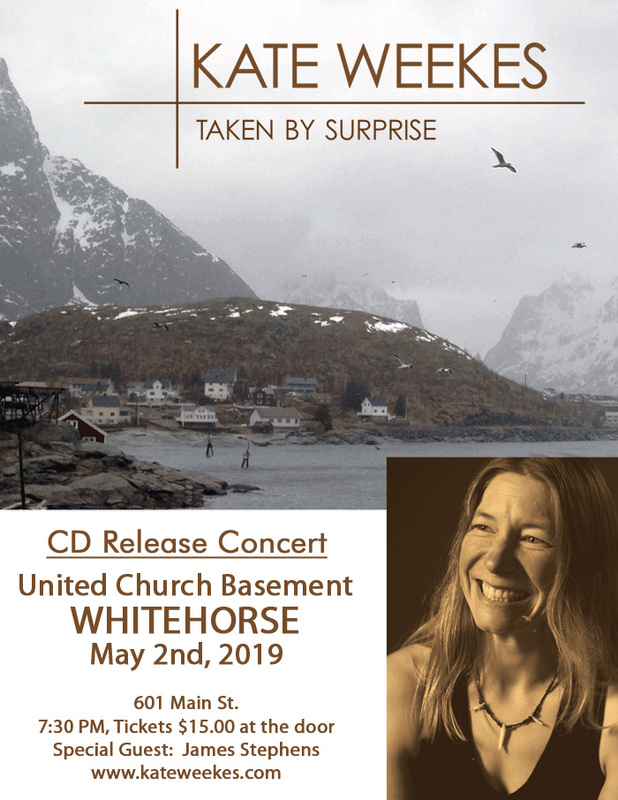 This concert is supported by the Whitehorse Folk Society. Concession provided by the Yukon Bluegrass Society.